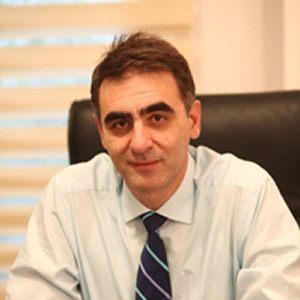 Dr Evangelos Manousakis, ophthalmologist, attended the Greek Armed Forces Corps Officers School at the Aristotle University of Thessaloniki and graduated in 1991. He has served in Air Force Combat Wings holding various positions of responsibility such as a General Physician and Head of the Health Services for six years gaining significant administrative and managerial experience. He specialized in Ophthalmology at the University Ophthalmology Clinic of the Athens General State Hospital. As an Eye Specialist he worked as clinical fellow in the field of Microsurgical Treatment of vitreous and retina diseases next to Mr David Wong, at the Royal Liverpool University Hospital, UK. Since 2002, he holds the FEBO Diploma in Ophthalmology. He is currently the Head of the Ophthalmology Department of Aero Medical Centre, based in 251 HAF, General Hospital, Athens, certifying Air Force & Civilian Aviation Pilots. Since 2004, he’s in charge of the Retinal department of the Ophthalmology Clinic in 251 HAF, General Hospital, Athens. Besides clinical work, he’s actively involved in the ophthalmology residents’ education. Apart from vitreoretinal surgery which is his main field of interest, he also carries out procedures covering a wide range of eye surgery.